The growth in US health care spending has slowed dramatically and insurers have provided refunds to 5.5 million Americans for unjustifiable premium increases. But none of these historic accomplishments have stopped House Republicans from once again attacking this vital reform with another half-baked, dangerous plan to get rid of the Affordable Care Act. The new plan is so undesirable, that Republicans in Congress don't even want it for themselves. Under the new plan, Americans could lose certain provisions guaranteed by Obamacare, yet Republicans plan to keep those perks for themselves. Plenty of work remains, but the Affordable Care Act is saving lives and we need your help to save it. Please sign the petition to urge legislators to oppose this dangerous scheme to roll back Americans' access to health care. The pressure you’ve been putting on Congress has been working! You’ve successfully delayed the GOPs horrendous efforts again. But, the fight is not over. It’s time we ask for what we really want: single-payer healthcare. Sign and share the petition to get us on track to actually take care of our own citizens. House Republicans will vote to repeal and replace the ACA today. 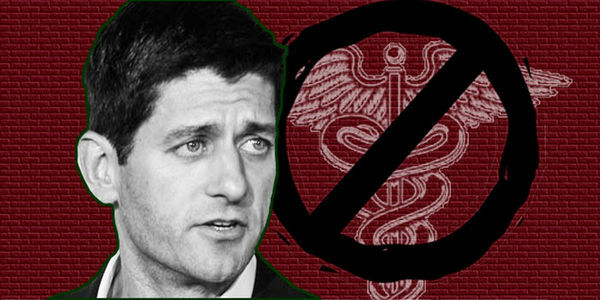 Please share this petition to help save the ACA!